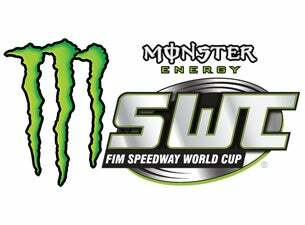 An inspired performance from the Great Britain speedway team saw them seal a place in next Saturday’s World Cup final in Bydgoszcz. Team Manager Alan Rossiter led his side into battle against a competitive line up overcoming Italy, Australia and USA with later having a second chance to make the final with the race off on Thursday night in Bydgoszcz. A packed house at the Norfolk Arena waited eagerly to see the top three riders in the world with current GP leader Tai Woffinden captaining the GB team. 2nd place Greg Hancock captaining USA with 3rd place Darcy Ward captaining the Australians. Rossiter recalled Simon Stead to the British team in his first world cup meeting in charge which surprised a few people but paid off with Stead winning his opening two riders, Woffinden got off to a slow start after his 10 day break from domestic action but won his second ride. Danny King was 5 from 6 and Harris was 4 from 6 after heat 8. Hancock was in fine form for the Americans as always along with Jason Doyle for the Aussies but Darcy Ward was struggling with his machinery but managed a win in his second ride. Heat 9 saw the Italians use their joker bringing in Nichols Covatti to hopefully move closer to the other three nations. A joker can be used when a team is 6 points behind another team. Covatti made a beautiful start off gate 2 but Cameron Woodward was put under pressure by Stead going into the second lap and went down. The race was stopped with Italians fuming with Woodward being excluded, as it usually goes Covatti only managed a third place in the rerun. Hancock continued his form winning heat 10 with Ward be left at the start in heat 11 with an issue of fuel. The Brits led by 7 points after each rider had three rides lying on 27 with Aussies and Americans neck and neck on 20 behind. Chris “Bomber” Harris was inspired around Kings Lynn with the home crowd pushing him on seeing him win heat 13. USA used their joker in heat 14 with who else but 44 year old Greg Hancock who responded earning 6 points for his team. The Aussies responded in the following heat with Jason Doyle going for the double and continuing his season form cut the Brits lead to 5. Heat 16 was a showdown between the top 3 riders of the world, experience prevailed just as it did in Cardiff two weeks ago in the GP. After 4 rides a piece, Team GB led on 35, USA second with 31 and Aussies on 29. The Italians were no where near the standard of the rest of the riders with only Nicholas Covatti showing quality looking for an English club to ride for after Birmingham went under last month. The last four heats saw the team managers pick which heats their riders will ride in, with GB leading Rossiter decided to put experience in heat 17 with Woffinden and 18 with Harris, looking to get the points early. Australia used their tactical substitution bringing in Batchelor for Woodward but current world champ Woffinden had too much putting GB 7 clear with 3 races left. Heat 18 saw confusion, Harris made another glorious start getting the better of Ward, but as exiting bend 4, Ward slowed down. The race was stopped, Ward had seen a red light thinking the race was stopped but with no red lights on the referee has no option but to exclude the Aussie. Harris did exactly what he did in the original start going on to win the heat putting GB in the final next Saturday. Hancock and Doyle won heat 19 and 20 respectively. Final Scores: GB 44, USA 37, AUS 36 and Italy 10. With GB missing from the World Final in the past years it was a brilliant achievement to overcome both Australia and USA. Both of these teams will have a second chance when they ride in the race off on Thursday night where the Australians could call on Chris Holder who could be race fit by then. Next Saturday’s final so far sees GB face Poland and the winner of the second semi final on Tuesday and race off on Thursday. TEAM GREAT BRITAIN 44: 1 Tai Woffinden 12, 2 Danny King 11, 3 Chris Harris 11, 4 Simon Stead 10. USA 37: 1 Greg Hancock 19, 2 Gino Manzares 9, 3 Max Ruml 4, 4 Ricky Wells 5. AUSTRALIA 36: 1 Darcy Ward 6, 2 Jason Doyle 15, 3 Troy Batchelor 14, 4 Cameron Woodward 1. ITALY 10: 1 Mattia Carpanese 1, 2 Nicolas Vicentin 0, 3 Michele Paco Castagna 2, 4 Nicolas Covatti 7.